Viv has been Chief Nurse for Public Health England since 2012 (initially as Director of Nursing in a joint role with Department of Health and since April 2015 solely within PHE as Chief Nurse). As such she is the Government’s Principal Advisor on Public Health Nursing, providing high quality and independent nursing advice to ministers and officials on policy issues and public health nursing and the national lead for developing public health nursing and midwifery. Viv is also the Head of the WHO Collaborating Centre for Public Health Nursing and Midwifery, which, designated since Nov 2016, aims to strengthen the public health roles of nurses and midwifes globally by developing ‘evidence to practice’ in preventing illness, protecting health and promoting wellbeing and resilience. Viv has had a special interest in the health if babies, children and young people in all of her clinical and leadership roles. She leads in the national public health programme ‘Best Start in Life’ and leads on prevention in the national Maternity Transformation Programme (workstream ) established in 2016 to implement the vision outlined by the National Maternity Review in England. Viv is leading a call to action entitled All Our Health which aims to create a social movement for health by all health and care professionals embedding and extending prevention, health protection and promotion of wellbeing and resilience into practice. All Our Health provides a framework and tools and resources to support this ‘health promoting practice’ with quick links to evidence and impact measures and top tips on what works. 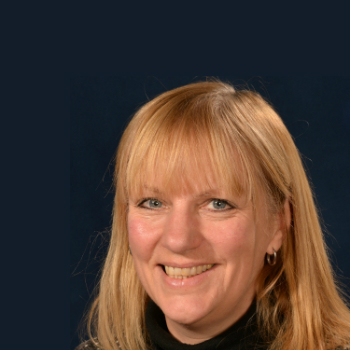 Viv trained as a nurse in Oxford in 1976 and worked in children’s nursing before training as a health visitor at Oxford Brookes University in the early 1980s. She worked as a health visitor and research health visitor in Oxford whilst studying for a BA and then Master’s degree in health and social policy. She is Honorary Fellow and Visiting Professor at King’s College London and is a Fellow of the Queen’s Nursing Institute and the Institute of Health Visiting. In 2015 Viv was awarded an Honorary Doctor of Science degree by Oxford Brookes University and received a CBE in the New Year’s ‘Honours’ list for her service to nursing.